St. Isaac describes doubt as being caused by demons and therefore no amount of knowledge and swiftness of mind is enough to withstand these enemies of God and man who wish to drag each one of us into Hell, little by little. Today we are instructed about doubt through Thomas’ example in the Gospel passage that was just read. Thomas is one of the twelve Apostles who had heard, was taught, struggled, and endured all things with the other Apostles. With the other Apostles, he also had the power to heal sicknesses and cast out devils (Mk. 3:15). When Jesus left for Judea after being informed that his friend Lazarus was dead, it was Thomas who said to the other disciples, “Let us also go, that we may die with him” (John 11:16ff) for the people of Judea had previously attempted to stone Christ. When Christ says, “I am the way, the truth, and the life,” it is in response to Thomas’ question, “Lord, we know not whither thou goest; and how can we know the way?” (John 14:5). In this intimate environment of Christ’s Apostles is where Thomas lived and although they all had seen the dead raised, the leper’s cleansed, and the blind given sight, still he doubted the words of his friends when they told him that Christ had risen from the dead. The Gospel tells us that Thomas was not with the other disciples on the day when Christ rose from the dead and appeared to them. Therefore, when the disciples saw Thomas, they announced to him that they had seen the Lord Jesus Christ, risen from the dead. Thomas replies, saying, “Unless I see in His hands the print of the nails, and put my finger into the print of the nails, and put my hand into His side, I will not believe” (John 20:25). Now it is eight days after Christ’s resurrection, the disciples are gathered together in a room, and Christ appears to them all and then speaks directly to Thomas. It is to Thomas that he says, “Reach hither thy finger, and behold my hands; and reach hither thy hand, and thrust it into my side: and be not faithless, but believing.” And Thomas answered and said unto him, “My Lord and my God.” Jesus saith unto him, “Thomas, because thou hast seen me, thou hast believed: blessed are they that have not seen, and yet have believed” (John 20:27-29). What Christ addresses is Thomas’s doubt, which is quite apparent to us all, but how He does this is what is of concern for us today. Why did Thomas not believe? Instead of light, the announcement by the Apostles only brought darkness to Thomas. He who was willing to go and die with Christ, expected that Christ would come and find him if He had risen, St. Romanos remarks, and yet Christ didn’t. If Christ has come to save sinners, would He not comfort the doubters? If He did not come to call the righteous, would He not alleviate those beset by this darkness? If He came to the lost sheep of Israel, would He not seek out those bewildered by disbelief? If He came to set the prisoners free, would he not unfetter us from the shackles that enslave us with suspicion and distrust? If He came to heal the brokenhearted, would he not mend the skepticism which rends the heart? If He came to give sight to the blind, will He not apply a healing salve to give clarity to the vision of our nous? If He came to give liberty, will He not free those imprisoned by mistrust? If Christ left the ninety and nine to seek out the one who was lost, will He not come find you who is lost and wandering in the darkness of doubtfulness? Behold, the condescension of God, the Lover of mankind. You, Thomas, made of clay and of the fallen race of men. You reach your finger here and touch my hands, the hands of Him who made man. Reach your hand here and touch my side. Touch him who is clothed with majesty, who covers Himself with light as with a garment (Ps. 104.2). It is because of Thomas’s doubt that we commemorate him today. For us who may be full of doubts, despite God’s providence which has lead us here, despite the work of His saints intervening in our lives and even healing some of us, despite the spiritual rest we might experience at times in this holy habitation. Like Thomas abiding with the Apostles of Christ, we still doubt. Eight days ago we celebrated the Bright Resurrection of Christ with the festal Bright Week services up until now when we consider the topic of doubt. [Christ] offers to the doubters’ eyes the marks of the cross that remained in His hands and feet and invites them to handle him with careful scrutiny. He does this because the traces of the nails and spear had been retained to heal the wounds of unbelieving hearts, so that not with wavering faith but with the most certain conviction they might comprehend that the nature that had been lain in the sepulcher was to sit on God the Father’s throne. As Christ came to Thomas while he was amidst the other Apostles keeping fellowship with them, so Christ will seek us out. 2.) What are we supposed to do amidst these times of doubt? i) Confess these thoughts to our spiritual father. Why leave this snake in our bosom which will only harm us? There is no way that this can turn out for the best when we keep this to ourselves. ii) Pray – because where else are we to go to be consoled and to find shelter amidst this storm? iv) And lastly, humility. Returning to the first mention of St. Isaac, we recall that he designates doubt as being the tool of the demons. In describing doubt in the hour in which it is the most paralyzing and darkest, St. Isaac writes: “All your knowledge will be in turmoil like that of a child. And your mind which was firmly established in God, the accuracy of your knowledge, and your sound thinking will be immersed in an ocean of doubts.” The only thing to vanquish these doubts is humility, which, he says, as soon as you take hold of it, all the power of the demons vanish. If we are humble, Christ will seek us out, will come to us, and alleviate us of our doubts as he did for the Apostle Thomas, in that very particular way in which the Apostle needed and in the way that each of us need. LORD JESUS CHRIST OUR GOD, HAVE MERCY ON US. AMEN. 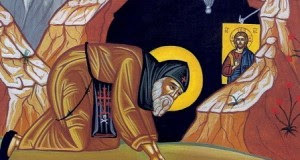 “Homily Fifty-Seven” in The Ascetical Homilies of Saint Isaac the Syrian. (Brookline: Holy Transfiguration Monastery, 1984), 284. “On the Apostle Thomas” in On the Life of Christ: Chanted Sermons by the Great Sixth-Century Poet and Singer. trans. Archim. Ephrem Lash. (San Francisco: HarperCollins, 1995), 186. Saturday evening, Prokeimenon for Great Vespers, 6th Tone. Ancient Christian Commentary on Scripture (Illinois: Intervarsity Press, 2007) IVb, 358ff. Forty Gospel Homilies trans. Dom David Hurst. (Kalamazoo: Cistercian Publications, 1990), 207. “Homilies on St. John” in NPNF, 1st Series, ed. Philip Schaff. (Hendrickson: Peabody 1999, 14:329ff-330f. 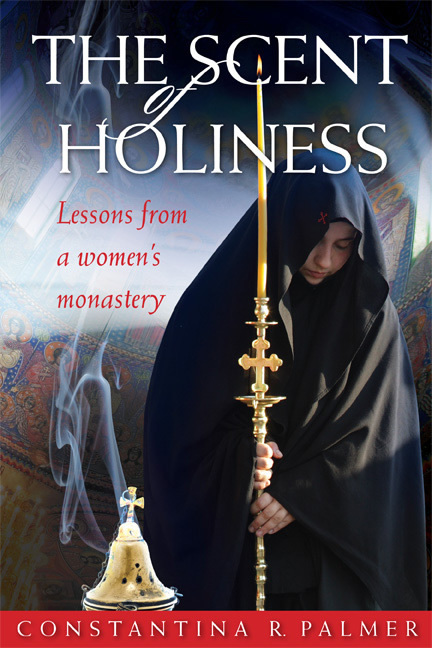 According to the renowned Patrologist Fr Theodoros Zisis, Orthodox theology teaches that, “…[t]wo phases, two economies are readily distinguished within the mystery of man’s salvation and renewal: the economy of the Son, and the economy of the Holy Spirit.” Vladimir Lossky fills out this assertion for us, stating that, “The redeeming work of the Son is related to our nature. The deifying work of the Holy Spirit concerns our persons. But the two are inseparable. One is unthinkable without the other.” In other words, Christ renews human nature through his Incarnation and the Holy Spirit then applies this renewed nature to individual persons by various appointed means in order that they might be united to God, becoming partakers of the divine nature, and saved. From an Orthodox perspective, then, both economies – that of the Son and that of the Holy Spirit – are equally important and integral to the mystery of salvation, with Pentecost serving as the ‘Metropolis of Feasts’ wherein the salvific mystery is perfected. In contrast, Frankish theology (the foundation of Roman Catholicism and Western theology in general) develops a one-sided understanding of the mystery of salvation as a result of its emphatic focus on redemption. Here salvation is largely reduced to a legal drama, Lossky writes, “…played between God, who is infinitely offended, and man, who is unable to satisfy the impossible demands of vindictive justice. This drama finds its resolution in the death of Christ, the Son of God who has become man in order to substitute himself for us and pay our debt to divine justice.” Within the context of this drama, the Holy Spirit largely vanishes and consequently the feast of Pentecost fades into the background, at least soteriologically speaking. “…if, according to their babble, the Spirit proceeds also from the Son, then the Spirit is differentiated from the Father by more properties than the Son. Both issue forth from the Father, and even if one issues forth by begetting and the other by procession, nonetheless, one of two modes equally separates them from the hypostasis of the Father; but here the Spirit is differentiated by a second distinction arising from the dual procession. If more distinctions differentiate the Spirit from the Father than differentiate the Son from the Father, then the Son would be nearer to the Father’s essence, and the Spirit, equal in honour, will be blasphemed as being inferior to the Son…”. As we have asserted in previous posts, Ælfric of Enysham (+1051) finds himself caught in the middle of the West’s transition from one point to the other, and his Sermones Catholici help us plot the particular path taken by England as it left behind the One, Holy, Catholic, and Apostolic Church and Orthodox Faith. Ðeos þrynnys is án God; þæt is se Fæder and his wisdom of him sylfum æfre acenned; and heora begra willa, þæt is se Halga Gast: he nis na acenned, ac he gæð of þam Fæder and of þam Suna gelice. This Trinity is one God, that is, the Father, and his Wisdom, of himself ever produced; and the Will of them both, that is, the Holy Ghost: he is not born, but he goeth alike from the Father and from the Son. Soðlice se Fæder, and se Sunu, and se Halga Gast, habbað áne Godcundnysse, and án gecynd, and án weorc. Ne worhte se Fæder nán ðing ne ne wyrcð, butan ðam Suna, oððe butan þam Halgan Gaste. Ne heora nán ne wyrcð nán ðing butan oðrum; ac him eallum is án weorc, and án rǽd, and án willa. Æfre wæs se Fæder, and æfre wæs se Sunu, and æfre wæs se Halga Gast án Ælmihtig God. Se is Fæder, seðe nis naðer ne geboren ne gesceapen fram nanum oðrum. Se is Fæder geháten, forðan ðe he hæfð Sunu, ðone ðe he of him sylfum gestrynde, butan ælcre meder. Se Fæder is God of nanum Gode. Se Sunu is God of ðam Fæder Gode. Se Halga Gast is God forðstæppende of ðam Fæder and of ðam Suna. Verily the Father, and the Son, and the Holy Ghost, have one Godhead, and one nature, and one work. The Father created nothing nor creates, without the Son, or without the Holy Ghost. Nor does one of them anything without the others; but they have all one work, and one counsel, and one will. The Father was ever, and the Son was ever, and the Holy Ghost was ever One Almighty God. He is the Father, who was neither born of nor created by any other. 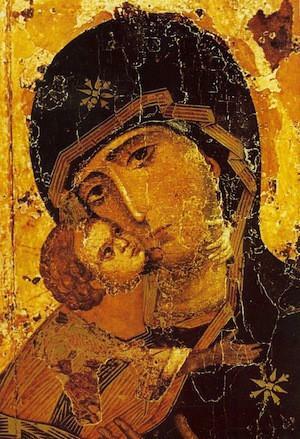 He is called Father, because he has a Son, whom he begot of himself, without any mother. The Father is God of no God. The Son is God of God the Father. The Holy Ghost is God proceeding from the Father and from the Son. Þyses dæges wurðmynt is to mærsigenne, forðan ðe se Ælmihtiga God, þæt is se Halga Gast, gemedemode hine sylfne þæt he wolde manna bearn on ðisre tide geneosian. On Cristes acennednysse wearð se Ælmihtiga Godes Sunu to menniscum men gedon, and on ðisum dæge wurdon geleaffulle men godas, swa swa Crist cwæð, “Ic cwæð, Ge sind godas, and ge ealle sind bearn þæs Hehstan.” Þa gecorenan sind Godes bearn, and eac godas, na gecyndelice, ac ðurh gife þæs Halgan Gastes. An God is gecyndelice on ðrim hadum, Fæder, and his Sunu, þæt is his Wisdom, and se Halga Gast, seðe is heora begra Lufu and Willa. Heora gecynd is untodæledlic, æfre wunigende on anre Godcundnysse. Se ylca cwæð þeah-hwæðere be his gecorenum, “Ge sint godas.” Þurh Cristes menniscnysse wurdon menn alysede fram deofles ðeowte, and ðurh to-cyme þæs Halgan Gastes, mennisce men wurdon gedone to godum. Crist underfeng menniscnysse on his to-cyme, and men underfengon God þurh neosunge þæs Halgan Gastes. The dignity of this day is to be celebrated, because Almighty God, that is the Holy Ghost, himself vouchsafed to visit the children of men at this time. At the birth of Christ the Almighty Son of God became human man, and on this day believing men became gods, as Christ said; “I said, Ye are gods, and ye are all children of the Highest.” The chosen are children of God, and also gods, not naturally, but through grace of the Holy Ghost. One God is naturally in three persons, the Father, and his Son, that is, his Wisdom, and the Holy Ghost, who is the Love and Will of them both. Their nature is indivisible, ever existing in one Godhead. The same has, nevertheless, said of his chosen, “Ye are gods.” Through Christ’s humanity men were redeemed from the thraldom of the devil, and through the coming of the Holy Ghost human men were made gods. Christ received human nature at his advent, and men received God through visitation of the Holy Ghost. Επόμενοι τοῖς Θείοις Πατράσι· Ἀρχές καί κρίτήρια τῆς Πατερικῆς Θεολογίας (Thessaloniki: 1997), 173. ‘Redemption and Deification’ in In the Image and Likeness of God (Oxford: 1974), 109. ‘Redemption and Deification’ in In the Image and Likeness of God (Oxford: 1974), 99. On the Mystagogy of the Holy Spirit (New York: 1983), 84. ‘Redemption and Deification’ in In the Image and Likeness of God (Oxford: 1974), 103. Επόμενοι τοῖς Θείοις Πατράσι· Ἀρχές καί κρίτήρια τῆς Πατερικῆς Θεολογίας (Thessaloniki: 1997), 180.